If you’ve been reading our blogs for a while, you’ve probably noticed that we really do have a rental property that’s perfect for anyone and any family. 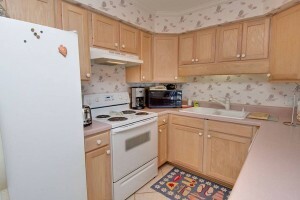 So today’s featured property will be no different. It’s just waiting for that perfect set of couples or family. 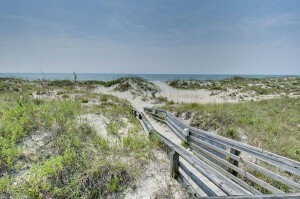 Point Emerald Villas are located near the “Point” of Emerald Isle, also known as the tip of the island. It’s home to the Coast Guard Stations and an excellent area for dolphin watching. The condominium complex features great amenities such as tennis courts, basketball goals, swimming pools, outdoor grills and more. 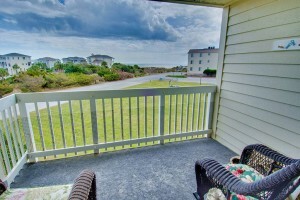 Point Emerald Villa B-203 is a charming 3 bedroom, 2 bath middle row condo with great ocean views. 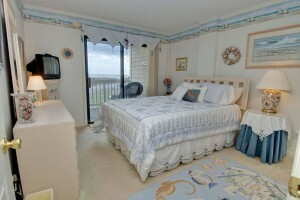 Each bed is adorned with Island Club linens provided. 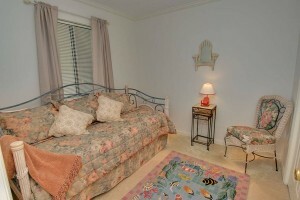 The queen bedroom is equipped with a cable TV and access private balcony with furniture. 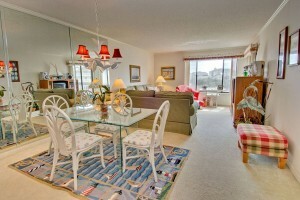 After spending the day at the Crystal Coast you can come back and relax in this great open floor plan. 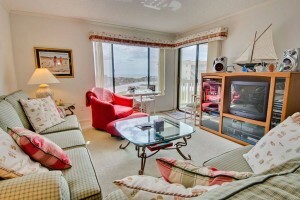 The cozy, yet spacious living room has great views out of the large, sunny windows and the balcony sliding glass doors. 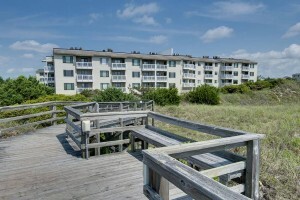 You’ll be able to put your feet up and enjoy a large cable TV and wireless internet access throughout the property. There is ample seating at the dining table or at the bar, overlooking the well equipped kitchen.  This layout ensures that everyone feels like part of the family, as you can effortlessly. y connect with your loved ones as you they relax in the living room or prepare a meal in the kitchen. Finish off your day with a nightcap on your breathtaking balcony, letting the sounds of the ocean wash over you. 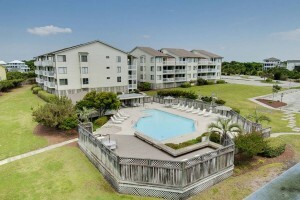 Vacationing at the Point Emerald Villas is an effortless way to enjoy your time on the Crystal Coast. 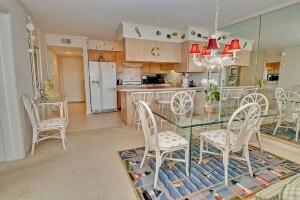 Being just a short walk to the beach and both swimming pools is an ideal location for any family. 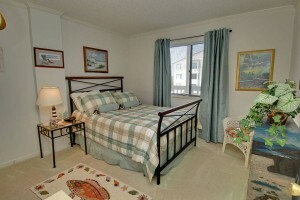 View additional property photos and book your stay at this great condo today!